There's no denying that we are quickly falling into the first flush of Winter. The Autumn leaves are crumbling to dust underfoot, Christmas prints are a perfectly acceptable form of day wear and your skin feels like it's gone five rounds with a cheese grater thanks to a mixture of radiators, air conditioning, bracing winds and overheated inside spaces. Whilst none of us are going to complain about switching from cocktails to hot chocolate and high heels to ankle boots, our skin can be a huge problem as we step into the colder months. As someone who has spent most of their lives battling with belligerent and often quite irritated winter flare-ups, I thought I'd share what I've found to be the holy grail of Winter wonders. My skin type is naturally very dry. A mixture of English and Irish genes have led to milk bottle paleness which flushes bright red at any temperature either side of hot or cold. As such, I've hunted for a range of products which where possible are paraben and perfume free so as to avoid further irritation. 1. Botanics Ultra Calm Skin Relief Serum (£3.99). Botanics Ultra Calm Skin Relief Serum (£3.99). Regardless if my skin feels tight from sleeping next to a radiator or it's just been scrubbed within an inch of it's life to remove make-up after DJing, this serum, without fail, manages to calm it down and ensure it feels hydrated. It is made in part by marshmallow which has a calming effect on sensitive skin, and also includes liquorice and Linden Flower to help reduce redness. 2. 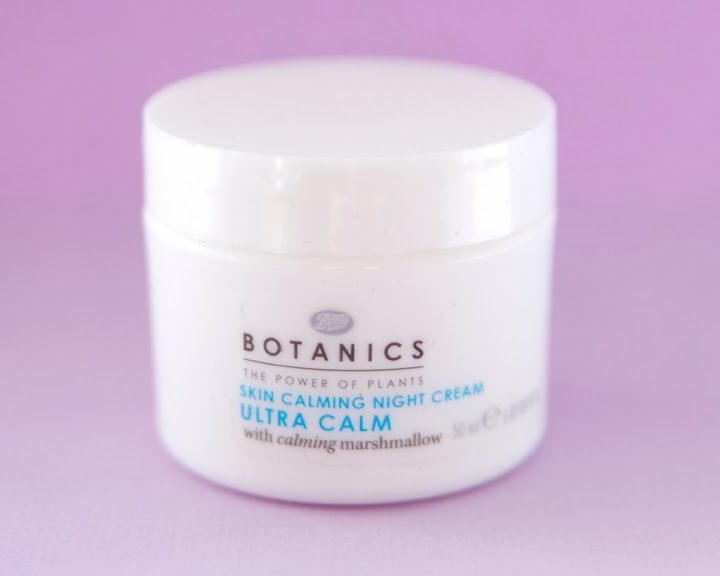 Botanics Ultra Calm Skin Calming Night Cream (£4.49). 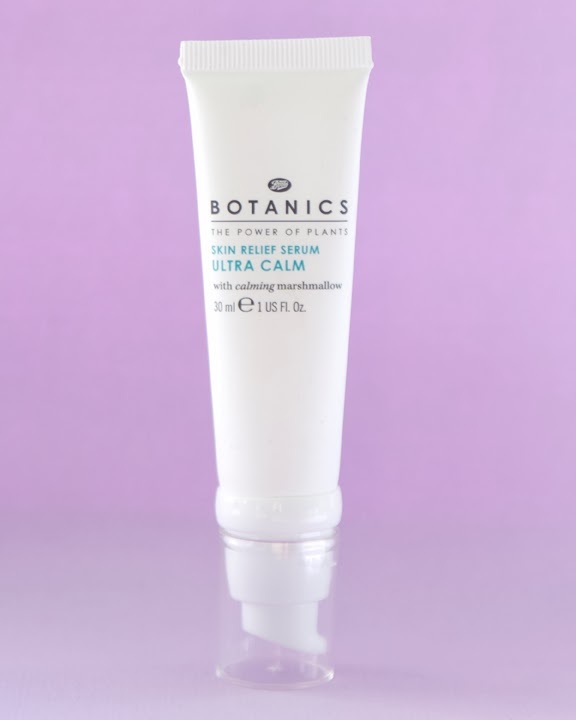 Botanics Ultra Calm Skin Calming Night Cream (£4.49). I discover this wonderful pot of gooey goodness quite by accident. I had been using it's day cream equivalent for quite some time and having run out, was struggling to find it in any stores. Out of desperation I brought the night cream hoping it would tide me over, but feared that regular daytime use would lead to my skin being oily. I couldn't have been more wrong - being slightly thicker than the day cream, it's acted as a natural defence against the elements whilst keeping my skin happy and hydrated, even under foundation. Like the serum, the night cream is armed with marshmallow and Linden Flower ensuring that my face is calm and flake-free. 3. 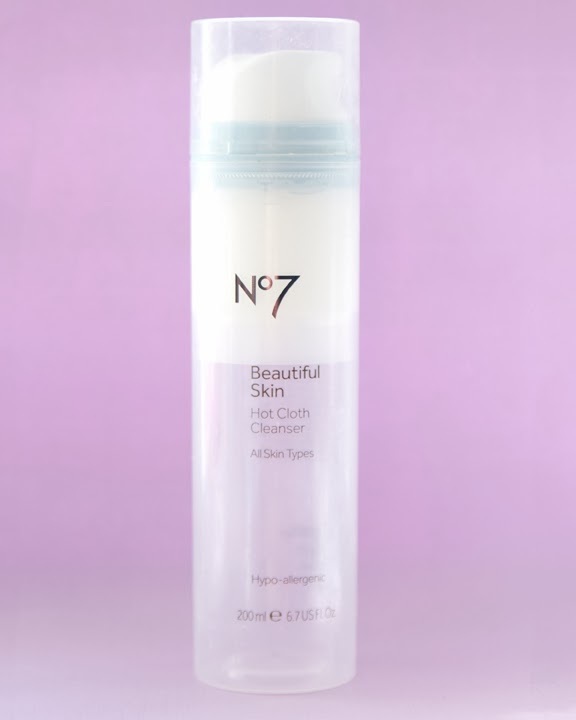 No7 Beautiful Skin Hot Cloth Cleanser (£9.95). No7 Beautiful Skin Hot Cloth Cleanser (£9.95). On days when I've been shooting outside in the wind and rain, or when my face just needs a little bit of a pick-me-up, I bring out the No7 Hot Cloth Cleanser. It does exactly what you'd expect it to do from it's name (and even comes with it's own cloth) but I also found it to be an excellent, rich face wash for when you need an extra burst of moisture but are short on time. Although this isn't part of the No 7 dry skin specific range, I've found that even my dire, problem skin is left looking healthy after using. 4. 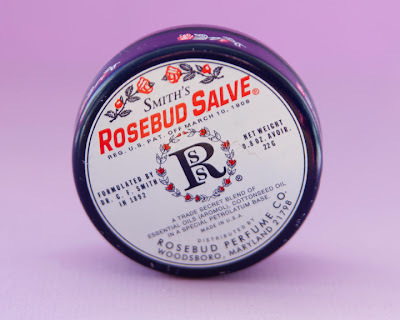 Smith's Rosebud Salve (£8). Rosebud Salve is one of those products which I see in almost every make-up artist's kit. I've seen it used on lashes to make them look thicker, on lips for gloss, even eyebrows to keep stray hairs in place. However it's also a tiny tinned whiz for cracked hands, chapped lips, small burns and relieving itchy skin. I've even been known to use it on my entire face overnight when my skin has been in extreme dire straits. I'm not going to lie - it feels like covering yourself in a nice smelling, non petrol based version of Vaseline, but the results are worth it. I always keep one in my handbag, and although it can be quite difficult to find in the UK, you can normally source them online through Amazon if the link above is out of stock. 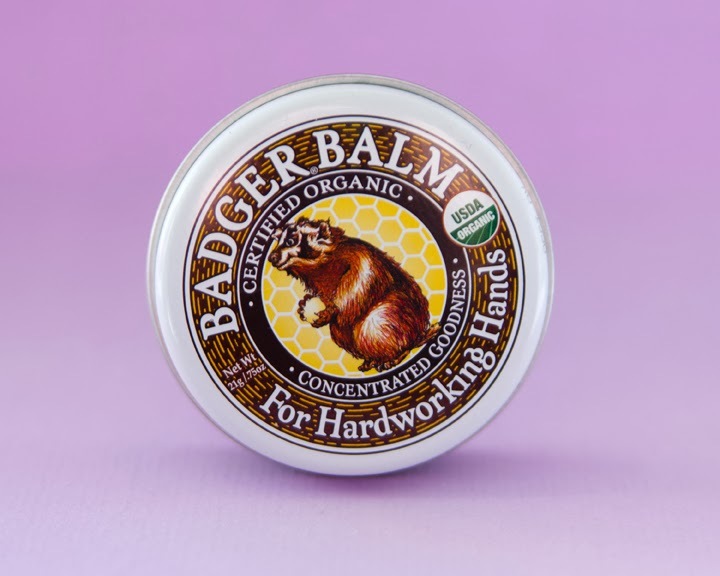 Badger Balm is the tough talking big sister to Rosebud Salve, with it's ultra-rich, ultra-moisturising balm tackling all the big problem areas which Rosebud couldn't quite get. Although it is a heavy feeling balm rather than a lighter absorbent salve, this is the go-to product to put on your feet, hands and any other skin complaint just before you go to bed. Whether it's a cracked heel or an eczema flare up, Badger Balm never ceases to amaze me. It can also be used as a muscle rub, has antiseptic properties if you've cut yourself and is also made from USDA certified organic ingredients and contains no chemicals or petrolatum. Plus it smells like Christmas, with a strange pine and menthol scene. Although you can buy this from the link above, I've often found it cheaper in nicer independent pharmacies. 6. Palmer's Cocoa Butter Lotion (Travel Size - 50ml - £1.50). Palmer's Cocoa Butter Lotion (Travel Size - 50ml - £1.50). 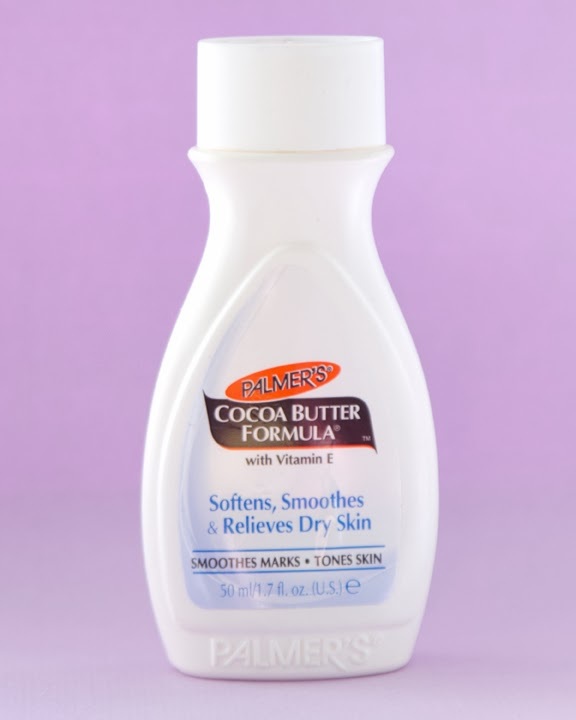 Palmer's travel sized bottles of Cocoa Butter are another key item which stay in my handbag over Winter. It's light enough that I can use it on my face as a regular moisturiser (especially on my nose during flu season) and it's great for putting on your hands if you need something to sink in at lightening speed. Enriched with Vitamin E, the smell will also have you wafting back towards tropical sunshine during the most coldest of days with a scent evoking memories of sunshine and chocolate. This post was 100% influenced by Daisy from Spaced; "It's not as easy as that Tim! I can't just pluck another Winter skincare dos and don'ts out of the air!" Little Wonder (aka Lida Tights).